You supply the agent, computer, headset, and an Internet connection and we provide everything else. Gartner Magic Quadrant for 4 Consecutive Years! Get all the benefits of feature-rich, on-premise systems with none of the hassle. 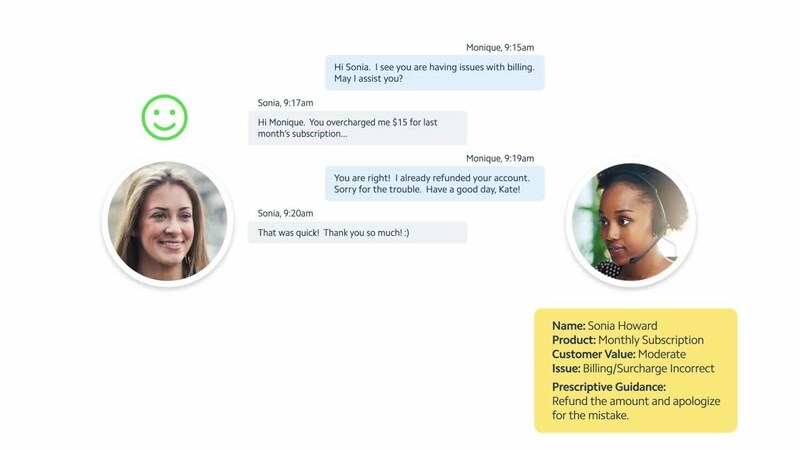 The Five9 Virtual Contact Center (VCC) suite gives your people the tools they need to make powerful customer connections while delivering the results your business requires. View: Gartner recognizes Five9 as Magic Quadrant for Contact Center as a Service, North America. Promero is an authorized Five9 Reseller. Promero will coordinate product demonstrations and deliver the absolutely the lowest rates on Five9s. Promero will provide the personal attention that you expect. If you are a small to medium size business and wish to review Five9’s software solutions, contact Promero for a free consultation. Today’s customers are quite demanding. Five9 solves the dilemma. They want faster service, knowledgeable agents, and new ways to communicate-and it’s tough to keep up. We know you struggle with the need to reduce your operational costs, increase revenue and conversions, cross-sell and upsell, and still provide your customers with what they really want. Balance your need to contain costs and still maintain a great customer experience by leveraging the cloud for your contact center. With the Five9 Blended VCC suite, you receive all the features and benefits you’ve come to expect from on-premise contact center infrastructure systems, with none of the complexity and long deployment times. And unlike many other cloud contact center infrastructure vendors, the Five9 VCC suite is built entirely from the ground up for the cloud. We’ve been enhancing the platform for over 12 years, so you can take advantage of a mature product with a rich feature set. Ensure the optimal mix of agent productivity and customer experience by taking full advantage of the peaks and valleys in contact center traffic. Active Blending technologies adjust to your traffic as it ebbs and flows, enabling automatic adjustments of outbound calling based on inbound call volumes. Based on your business rules, Active Blending automatically moves outbound agents on a per-call basis to inbound queues when traffic volume peaks. When there are no inbound calls in queue, it shifts them back to outbound call campaigns. Inbound service levels are maintained while agents can switch to outbound calls on a call-by-call basis during inbound traffic lulls. This ability greatly increases the number of productive contacts per hour by each agent. Give your customers what they want: Active service and information transparency.Give your employees the tools they need to keep your customers happy. You’ll see huge gains in agent productivity, improved key performance indicators (KPIs), and increased customer satisfaction with our unique approach to Active Blending. When using Five9 for both inbound and outbound call center operations, you benefit from unified real-time and historical reporting applications that deliver performance results across all your campaigns and agents. In real time, you can listen to agents for both inbound and outbound calls and review the intraday performance of your campaigns for key metrics such as sales volumes. Historical reports offer additional insight into agent performance across call types and unified customer history across your operations. 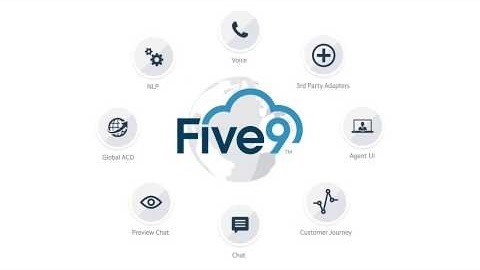 Five9 Multichannel Contact Center Applications-powered by our unique technology layer called Five9 Connect-enable your agents to move seamlessly between social media, mobile care, live chat, email, and voice calls. 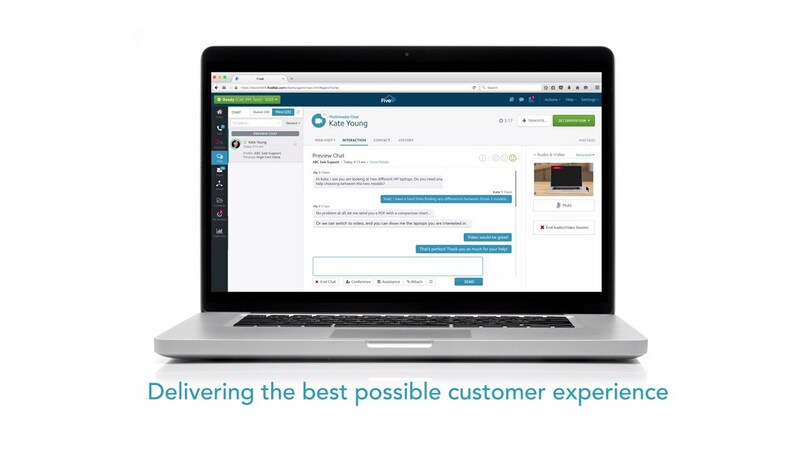 They’ll be able to respond more efficiently and provide customers with a better experience across all channels. 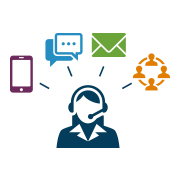 Five9 Blended VCC components work together on the cloud platform as a single system, eliminating the technology gap between inbound Automatic Call Distribution (ACD) functionality and outbound dialers. And, with the integration of Computer Telephony Integration (CTI) and Customer Relationship Management (CRM) capabilities, you’ve got a seamless solution for both your agents and customers. There’s no toggling back and forth between inbound and outbound calls. It’s all unified for your agents to manage inbound and outbound programs simultaneously with the right agent scripting-inbound or outbound-delivered to the desktop. Whether you have one contact center, multiple contact centers around the globe, hundreds of agents who work from home, or both physical contact centers and at-home agents, Five9 has it covered. Need to add new agents? No problem-all it takes is one call, and you can have new agents and line capacity up and running in hours. Five9 VCC comes with comprehensive supervisor capabilities. Barge in, whisper coach, and listen in real-time from any location. It no longer matters where your agents or supervisors are located-at home, in a physical contact center, or half-way around the world. See for yourself how the Five9 Blended Cloud Contact Center helps you balance cost containment and customer satisfaction. Give us a call at 1-800-553-8159 and we’ll schedule an in-depth demo just for you.